Vases carved by hand with its bases. 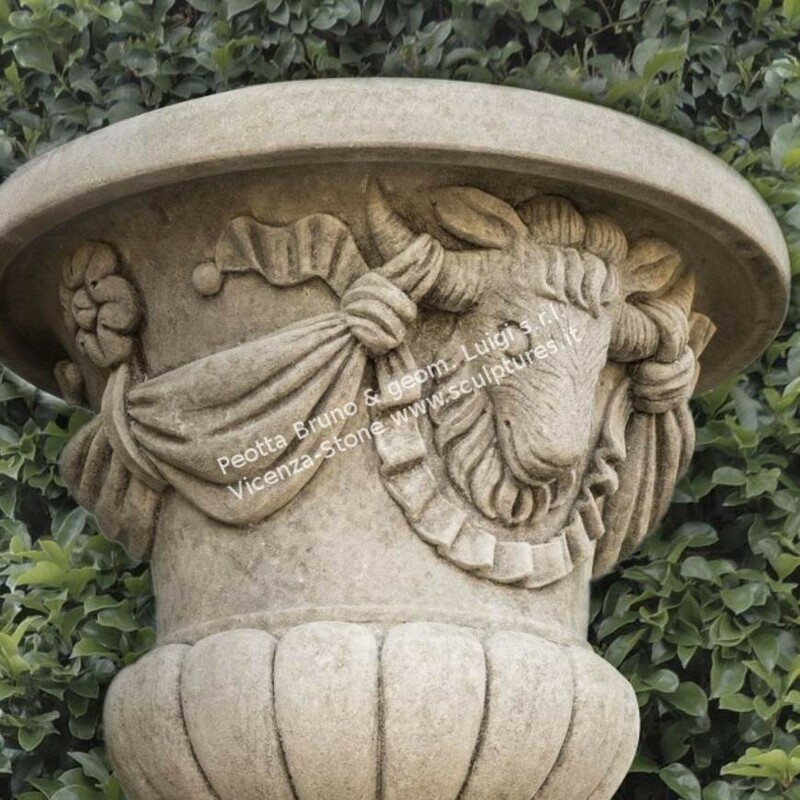 Vase decorated with garlands and draperies rams with rosettes carved into the sides. 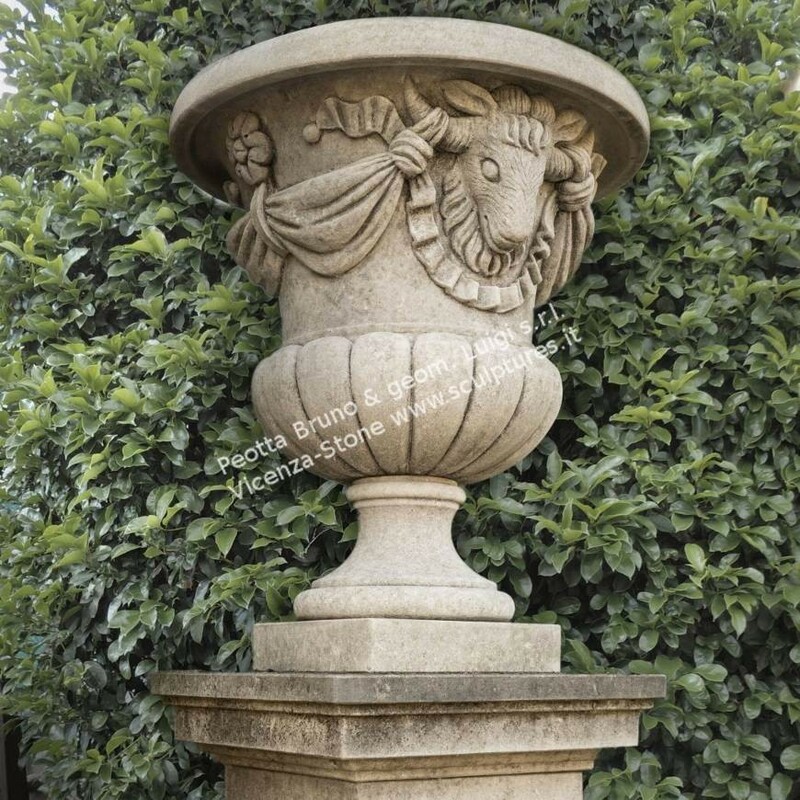 Style vase 1800 widely used in large private gardens at the entrances or stairways. 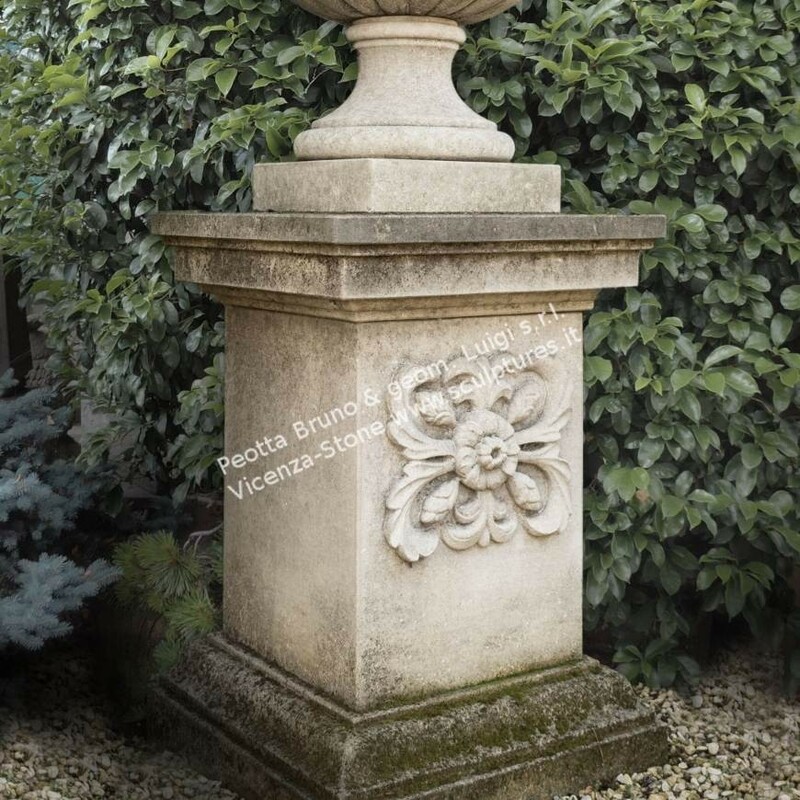 The base has a rich decoration in rosette on the front side.